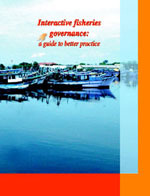 This guide presents a new and creative approach to the governance of fisheries and aquaculture in the world. Called interactive governance, this approach addresses the diversity, complexity and dynamics of fisheries and aquaculture systems through an inclusive, holistic and adaptive framework that is principle-based, with an emphasis on partnership and learning. 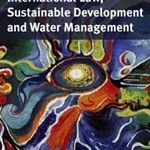 The guide suggests that all governance systems stand to benefit from the change in perspective that is proposed in this volume. The practitioner’s guide is meant for policy makers, scientists, and other stakeholders in the fields of fisheries and aquaculture. The guide is the outcome of a three-year collective exchange of ideas that arose out of concern with the way in which fisheries governance is commonly conceived and practised. The enhancement it proposes is interactive governance, which is based on the idea that the challenges in fisheries can be addressed only if the participants work and learn together. The contributors to this practitioner’s guide are part of the network FISHGOVFOOD (now known as FISHGOVNET), which includes natural and social scientists from different parts of the globe. 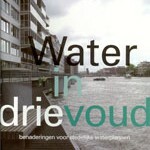 The Centre for Maritime Research (MARE) in the Netherlands acts as the network co-ordinator. SISWO/Social Policy Research provided the necessary facilities.